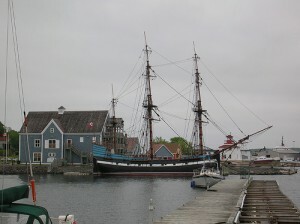 Pictou is known as the birthplace of Nova Scotia. Many of the province’s first settlers – 33 families and 25 single men – landed here from Scotland on a boat called The Hector. Fast forward a few hundred years and today’s Pictou is a modern crossroads. Visitors pass through on their way to the Prince Edward Island ferry, to Cape Breton and to take the route along Nova Scotia’s northern shore towards Tatamagouche. Nearby you’ll find an interpretive centre, shops and eateries. You can also stroll along along the harbour, tour a knife factory or visit the fisheries museum. If you fancy a ride on the water, take a boat to New Glasgow or Pictou Island and for camping or swimming there’s the nearby Caribou-Munroes Island Provincial Park. Throughout the town, you’ll see Pictou’s Scottish heritage on every corner. Tartan banners hang off the street lights and the historic buildings wouldn’t look out of place in Scotland itself. There are many restaurants and a range of hotels, including some truly charming B&Bs, to choose from. Pictou is packed during the Lobster Carnival in July and the Hector Festival in August. The Pictou tourism office is open year round at 40 Water Street. You can call them toll-free on 1-877-574-2868.